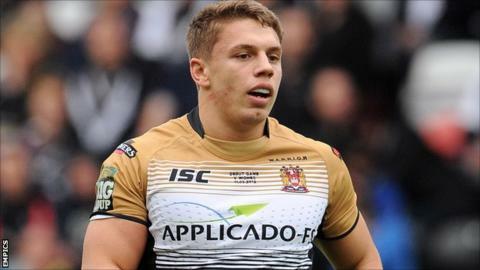 Wigan Warriors full-back Matty Russell has signed a two-year contract with Australian NRL club Gold Coast Titans. But his path to a regular first-team place at the DW Stadium appeared to be blocked by England star Sam Tomkins. The England international was by his fellow professionals at an awards ceremony in Manchester on Monday. Meanwhile, Wigan have allowed centre Stefan Marsh, half-back Joe Mellor and winger Ryan King to leave the club. Marsh and Mellor spent much of the 2012 season on loan at Widnes.